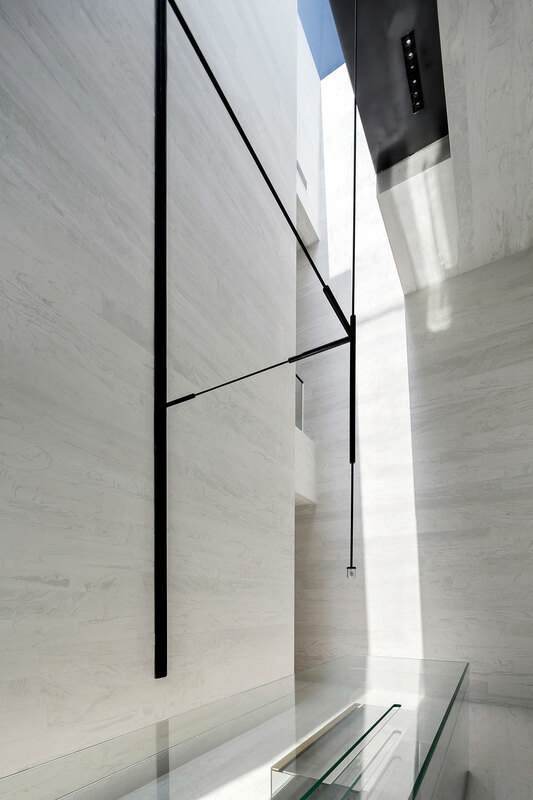 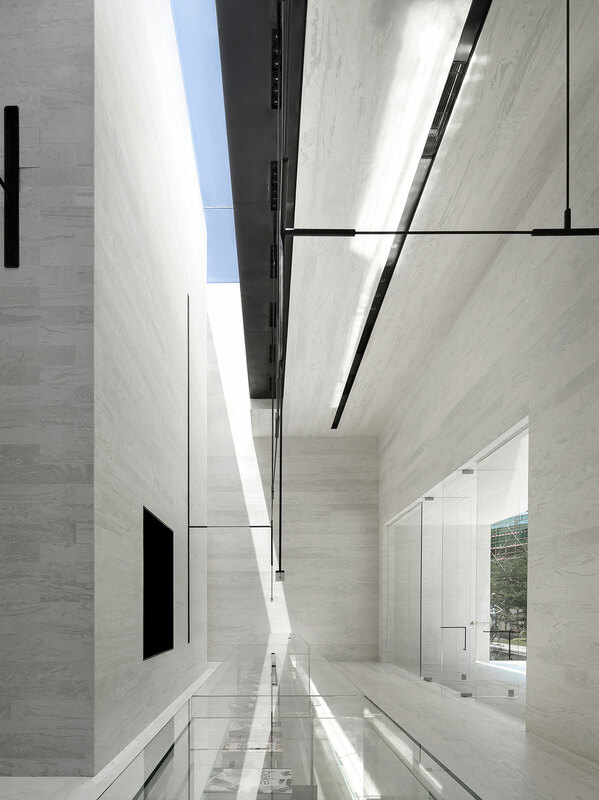 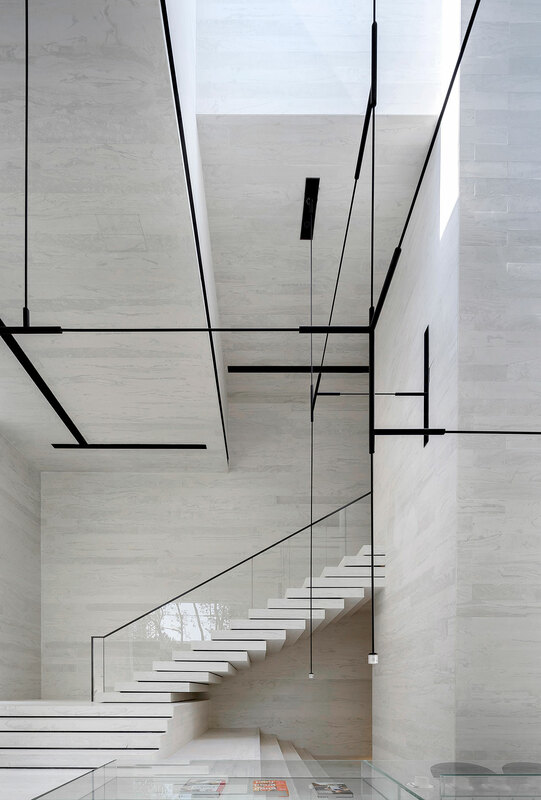 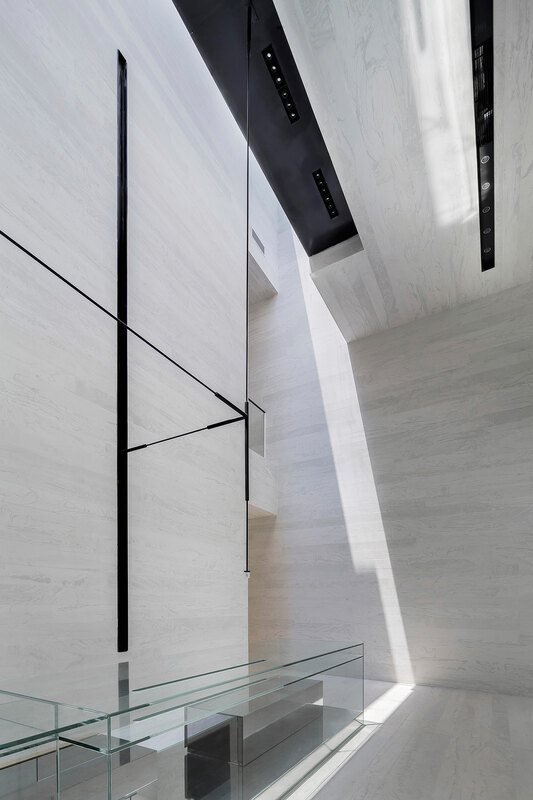 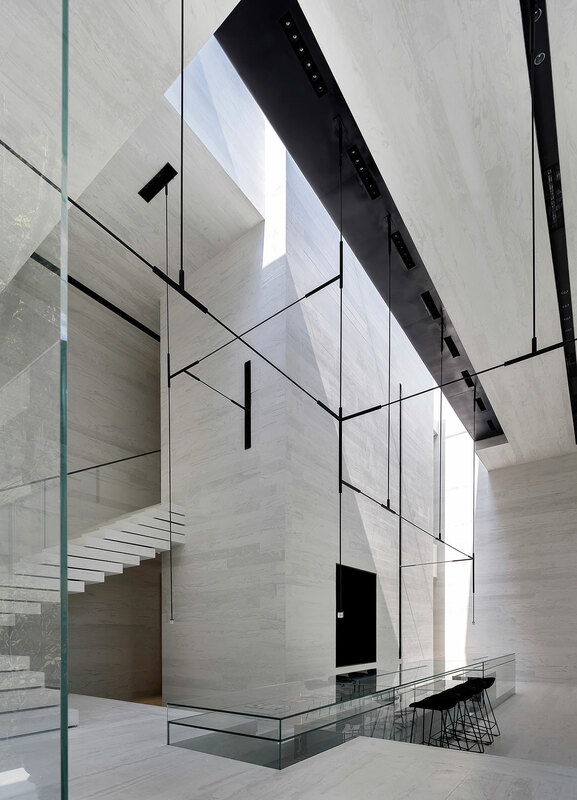 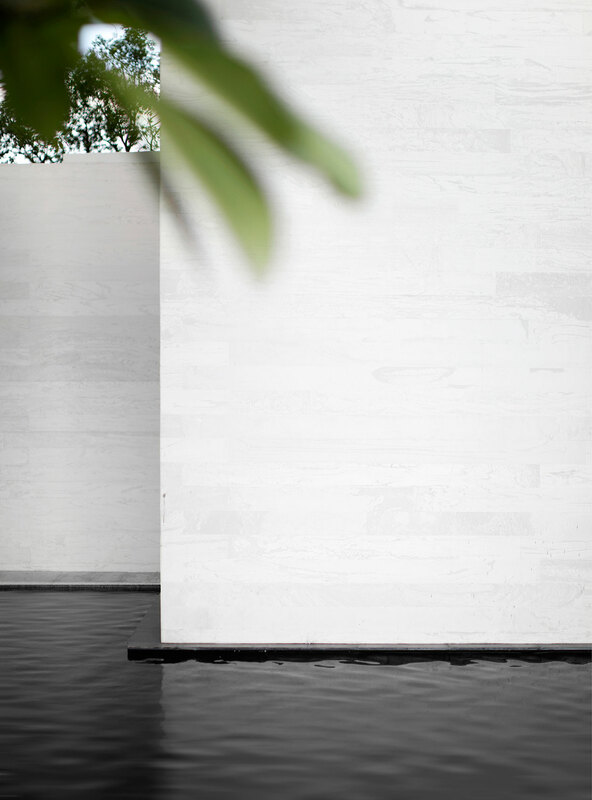 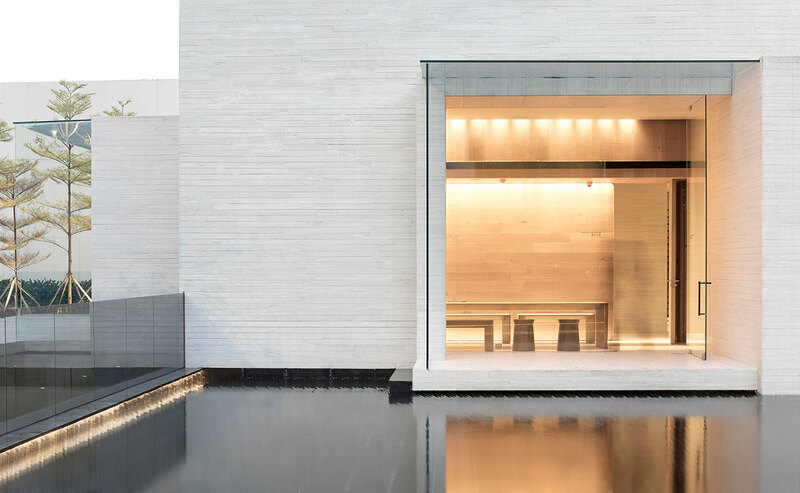 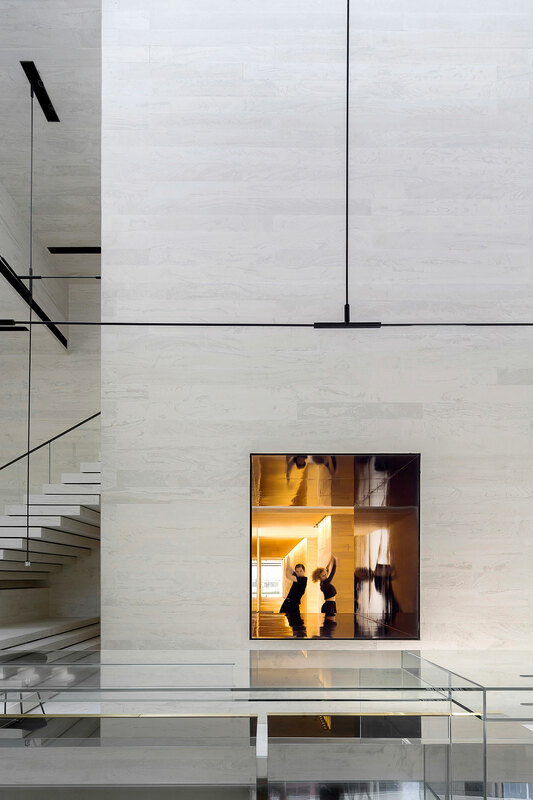 Ann Yu, the Director of DOMANI, orchestrated the architecture and interior design of the Club House and brought to it a stripped-back minimal sensibility with timeless appeal based on one core concept - time. 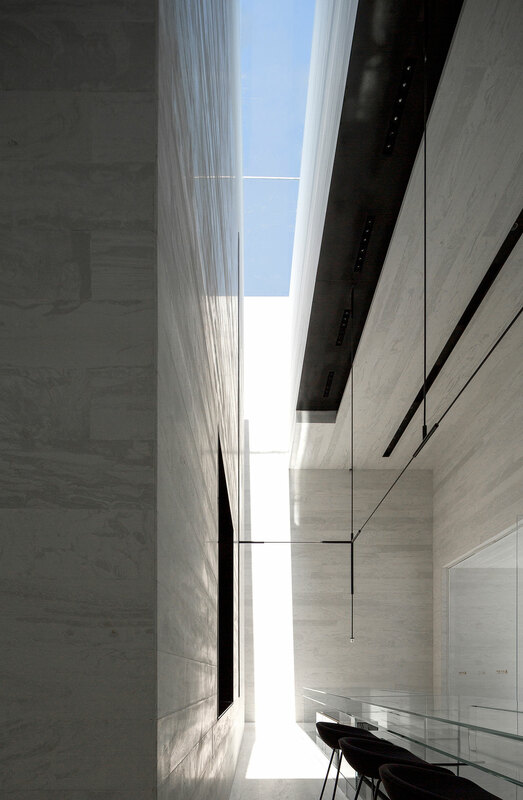 In fact, DOMANI describes "time" as being not just a concept but a character in the construction. 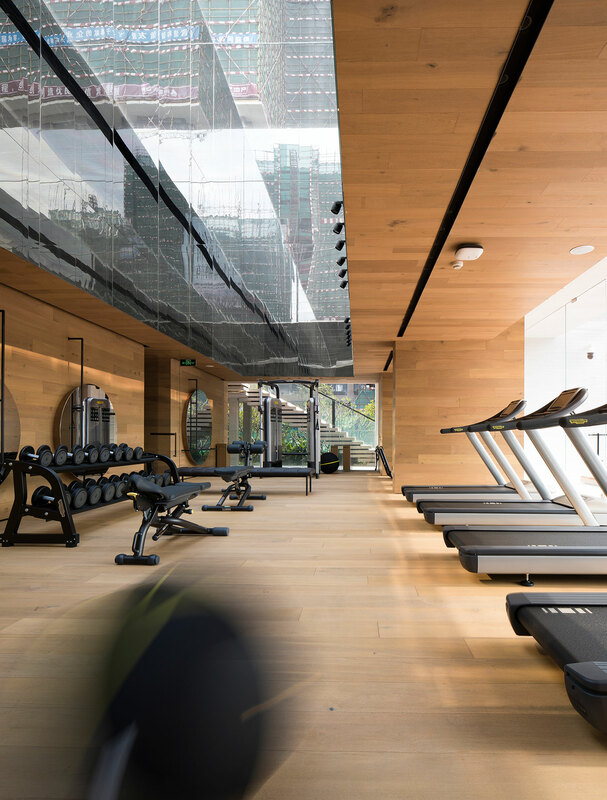 For this reason, everything was designed to weather well and to actually improve with age. 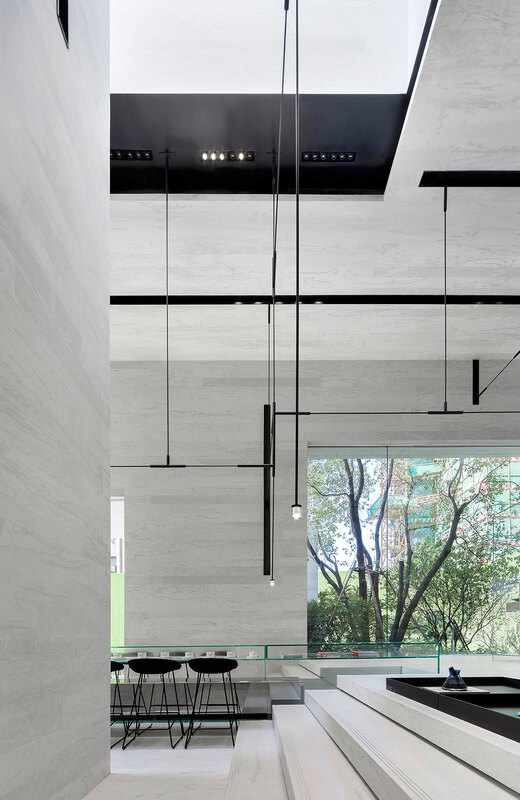 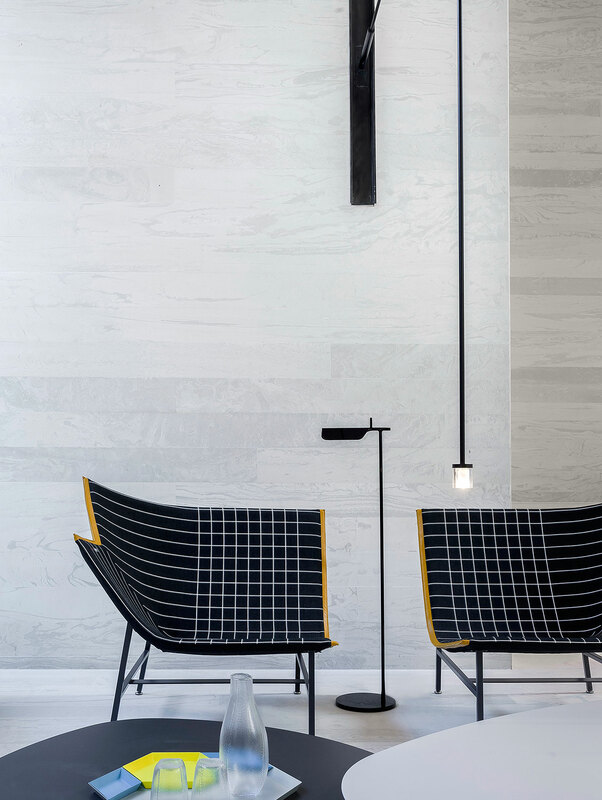 The star of the design is the main material used in the construction: a 20% gray artificial concrete that was molded into long, thin tiles and used throughout the entire space. 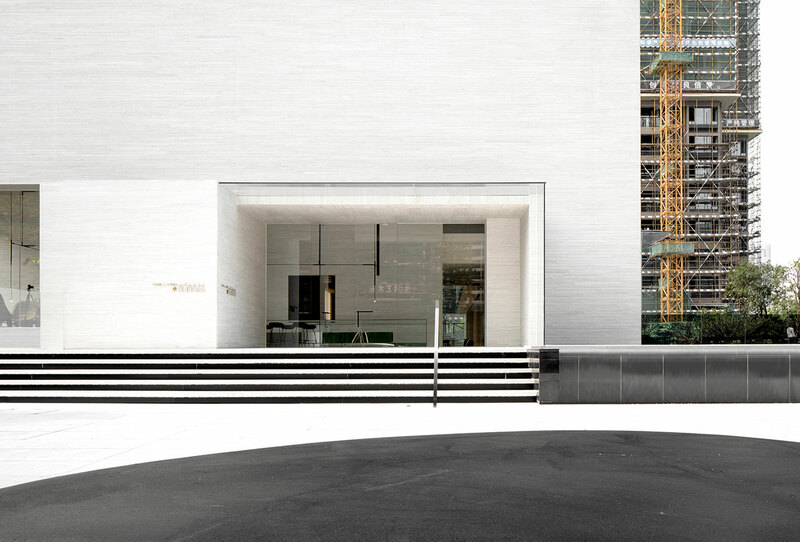 Starting with the exterior, these slab-like gray tiles pave the entire edifice, allowing it the opportunity to shift and change as the natural elements play off it, day to day. 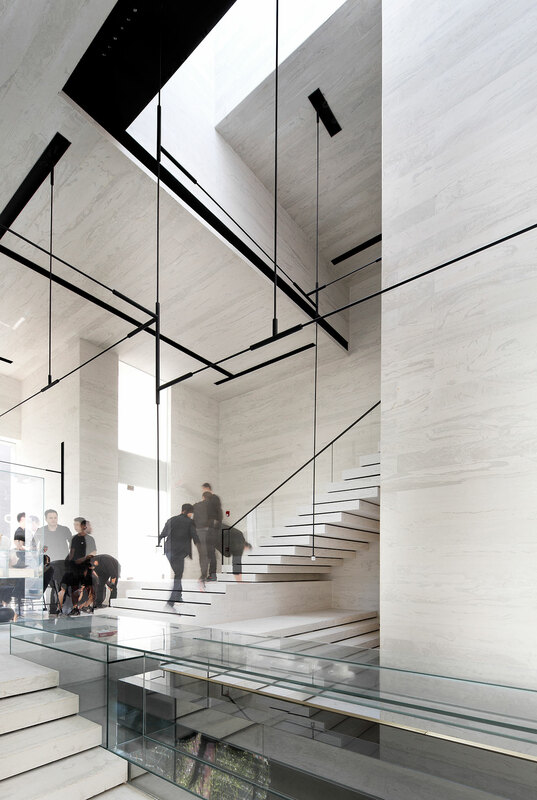 Inside too, the materials’ special texture enlightens the surfaces in the main reception, sitting rooms and restaurant as it plays off the plentiful natural light. 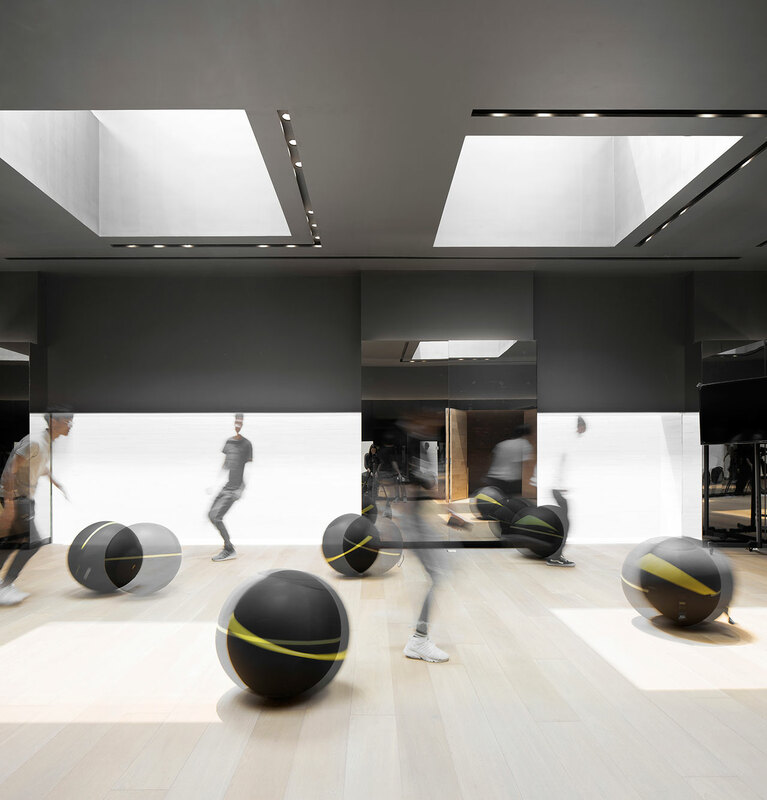 Meanwhile, the gym space shifts gears. 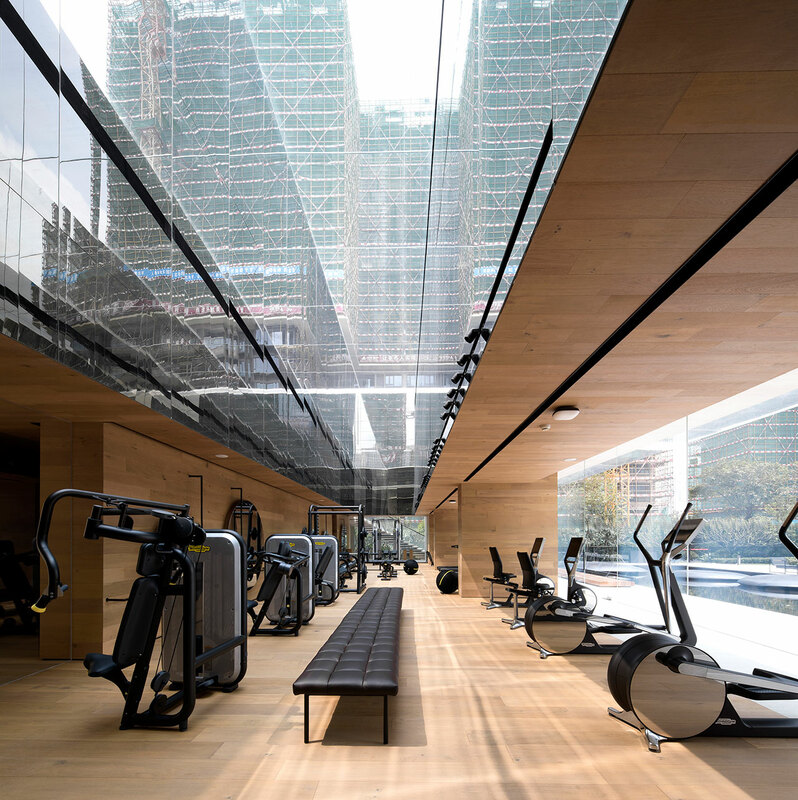 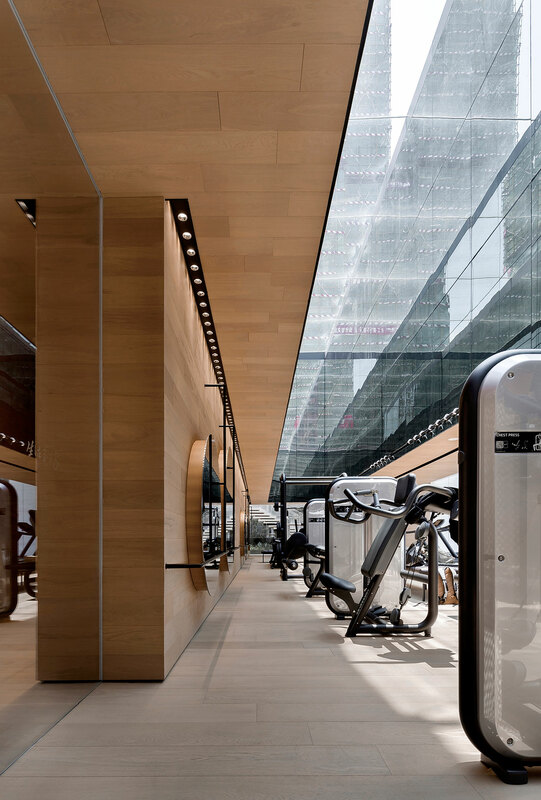 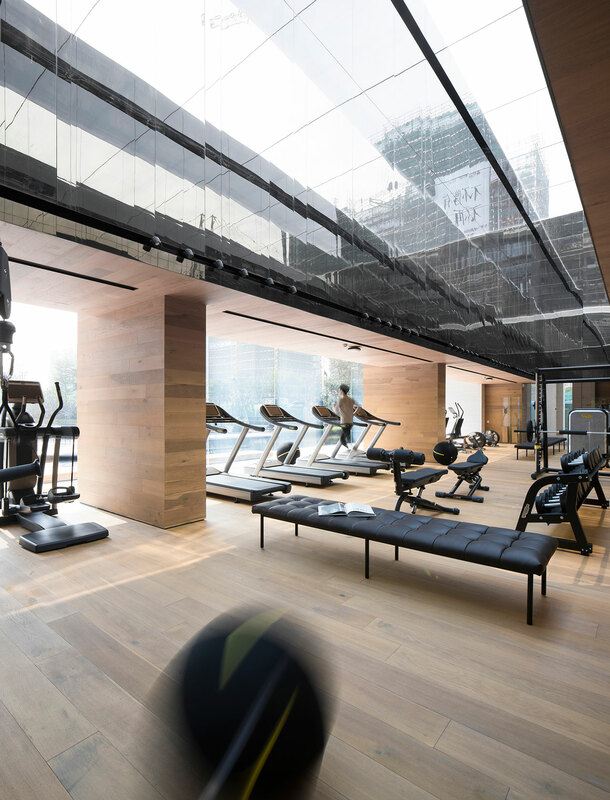 For although the bright light streaming in through the wide window walls is a constant, the gym's ceilings, floors and walls are sheathed in light, honey-colored wood, a material that brings a warmth and a different sort of depth to the space. 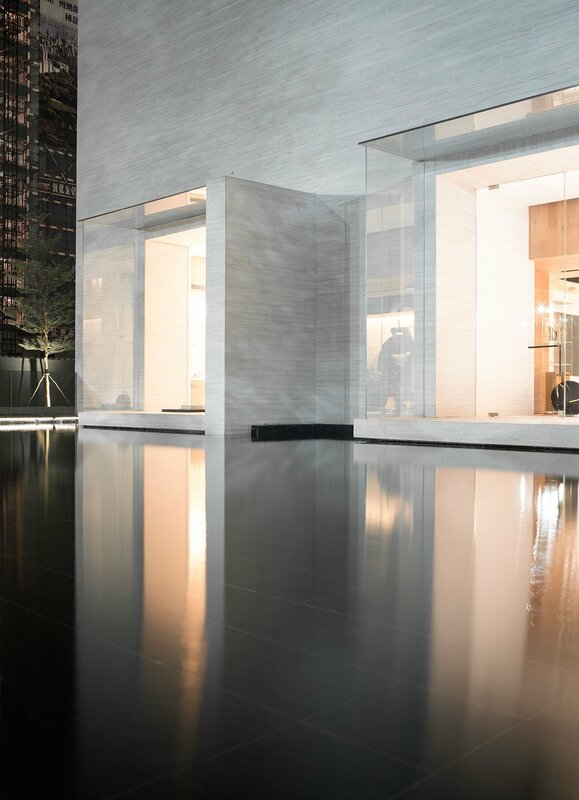 Depth is also a consideration that was played with outside the gym's windows thanks to the dark pool that stretches out from the windows all the way to the property's edge. 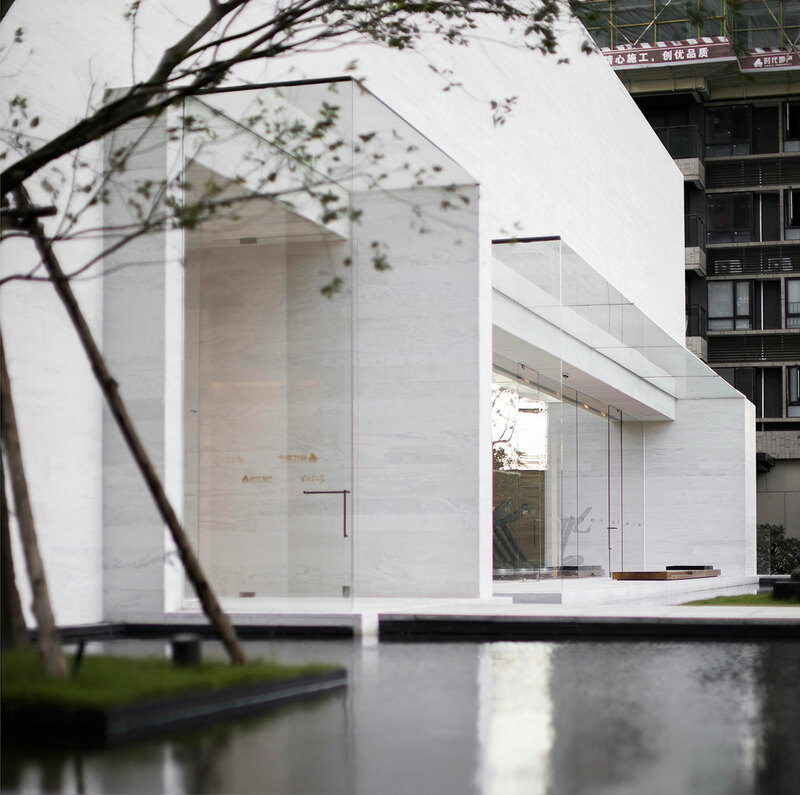 The trees and manicured vegetation surrounding the pool enliven the surroundings with a natural touch; a contrast to the tall buildings adjacent to the building. 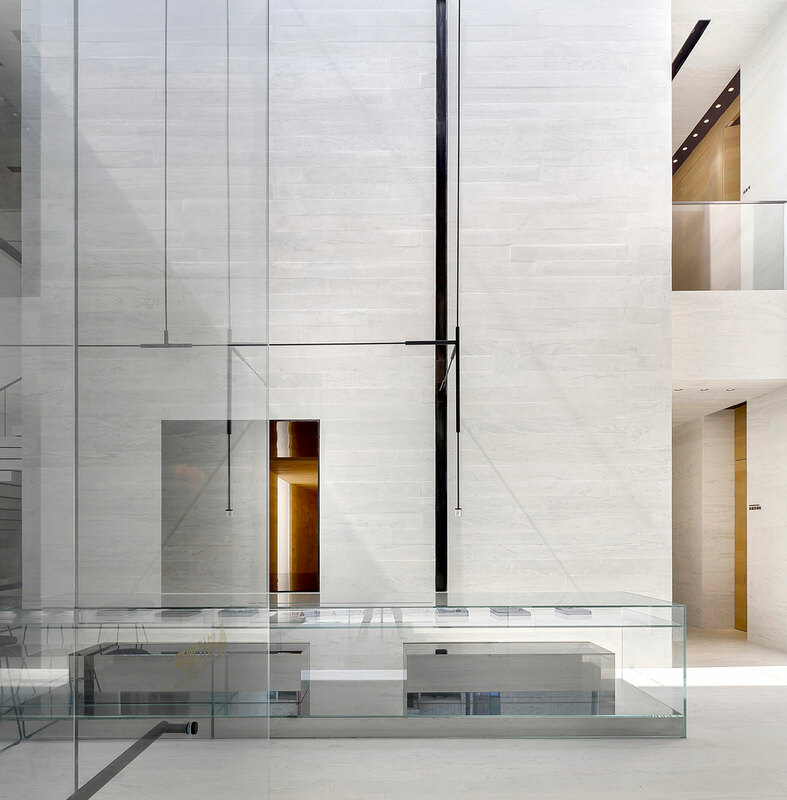 Back inside, the edges between ceiling and sky are blurred as most of the ceiling is pulled back, and replaced with glass allowing the sky to become a crucial construction element throughout the space - the name of the property rightfully is the Sky Club House, after all.